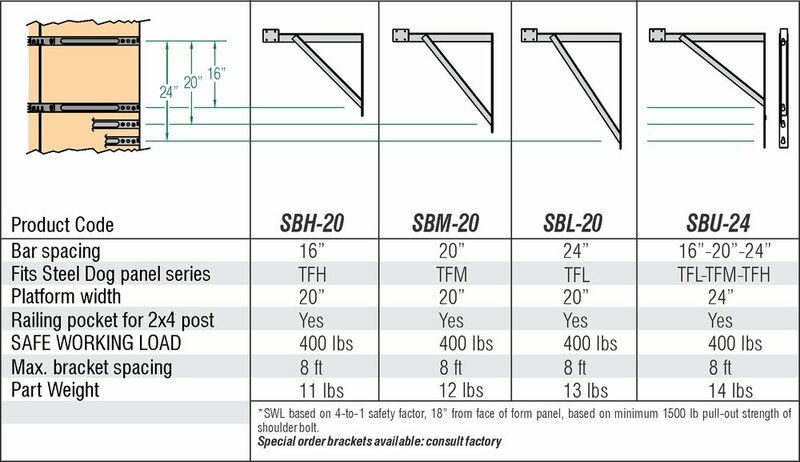 Steel Dog® Scaffold Brackets have keyhole slots to attach to the hex head shoulder bolts of Steel Dog® panels or compatible 1-1/8” form panels. 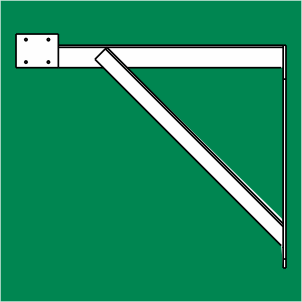 Each Scaffold Bracket attaches to two bolts to safely carry the load. Heavy duty, welded 1/4” steel and angle iron construction. Keyhole slots provide a strong and secure means of attachment to form panel shoulder bolts. 400Lbs. (Based on approximately 4-to-1 safety factor). Intended for the support of scaffolding planks on 1-1/8” form panels. When properly used, can help users meet OSHA safety requirements for access to elevated areas of formwork.